"An excellent service over a number of years. Efficient, punctual, accommodating and friendly. What more can one say?" "Excellent, thanks for the fast response." "SafeStand's service is really good, the best. I am a senior site manager myself and I will be letting all the other managers know of your system and service"
"Many thanks for the top service"
"Thanks for the great service & product you supply us with"
"It is a solid and well engineered solution - despite superficial similarities, it is not a trestle based system"
"Very good service - we'll be in touch re future projects"
"Thank you for the high standard of service, I will use you again in the future and also recommend you to other companies"
" Kier Construction continues to do business with Safestand over and over again." 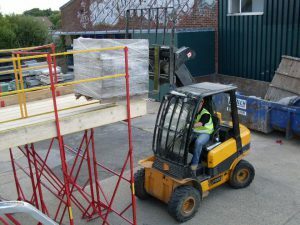 "Clearly the manufacturer of the equipment has carried out extensive research to ensure that a safe access to works at height can be provided quickly and economically." "It (SafeStand) was successfully used on my last job and is now being used on more Mansell sites operating from the Enfield office." "It has proved to be effective, versatile and when used as per the manufacturers instructions, safe." 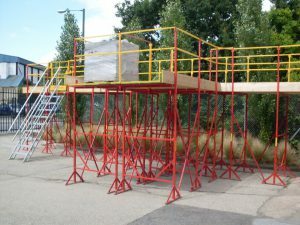 "Regarding the safety assessment, we noted that the use of the Safestand scaffolding from the beginning of the project has been a complete success." 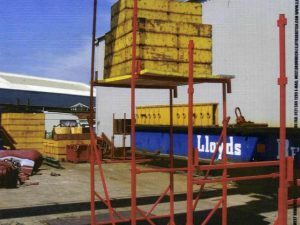 "The quality of the SafeStand equipment has always been to the highest standard backed up by the relevant industry accreditations"
"The system has been vetted and recommended by our SHE team to provide a safe and flexible means of working at height." "I can honestly say that the system is very simple, user friendly, effective and completely stable." "Our Contractors are to be encouraged to select SafeStand where they are the provider for their work package." "This will be the only proprietary low level access system we will use." "The Safestand System is, in my opinion, the simplest and most innovative new product to become available in the construction market in recent years." "It was good to see some new and innovative products on display, which could be used to great effect to protect the workforce." "The MACE ESH team agree that, in respect of Safestand, we would endorse your product for use on our sites." "Your system which was recommended by our safety officer, was the ideal thing as we could set the system up around the walls enabling the brickies the height and work space around their work area to finish the higher level works quickly and easily." 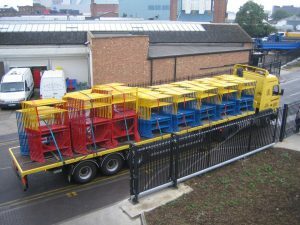 "The system uses simple components which are quick to erect and dismantle and can be used by all staff on site following a brief training session. 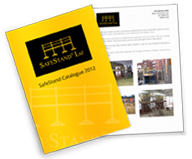 We envisage using Safestand on current and future projects and are pleased to recommend this highly effective work at height system." 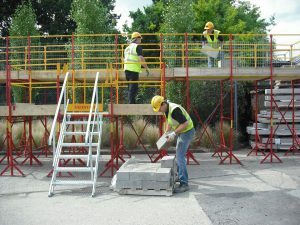 "I would like to take this opportunity to demonstrate our appreciation for Safestand following the support and guidance shown to our sites, procurement and safety teams in sourcing and overcoming a range of work at height challenges for low level access equipment"
"I believe the Safestand System provides an efficient, cost effective, safe alternative to a Scaffold Platform when erected to the manufacturer’s instruction."